Mumbai Indians have quite an exaggerated fascination of keeping Pollard in their playing XI irrespective of how bad he performs. He hasn’t been at his best for the past couple of seasons. 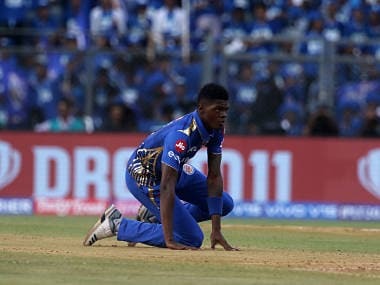 It is difficult to let old habits go no matter how bad they are, and starting off Indian Premier League (IPL) campaigns with a series of defeats is an old habit of the Mumbai Indians. But somehow they always manage to recover from the damage they do to themselves by stringing together back-to-back victories during the latter part of the tournament. That’s the reason they are being called the perennial slow starters of the IPL. This year has been no different. After six matches, they sit at the second-last position with one victory and five losses to their name. Only a better net run rate separates them from Delhi Daredevils sitting at the bottom. Mumbai Indians have quite an exaggerated fascination of keeping Pollard in their playing XI irrespective of how bad he performs. He hasn’t been at his best for the past couple of seasons. He doesn’t bowl now at all and isn’t proving to be that good with the bat either. He has scored just 63 runs in six matches this season at an average of 15.75 and strike rate of 110.52, and has been one of the main reasons for Mumbai struggling this season. If Mumbai want to fix this issue, they need to bring Duminy into their line-up as a replacement for Pollard. Duminy will give them the much-needed batting depth down the order at No 5 or 6 and will also allow them the luxury of having an alternative spin-bowling option. He is South Africa’s leading run-scorer in T20Is with 1,822 runs to his name in 76 matches at an average of 37.95 and strike rate of 124.79. Moreover, He had a good T20I series against India earlier this year in which he emerged as the second-highest scorer with 122 runs to his name in three matches at an average of 40.67 that included two fifties as well. He also claimed a wicket bowling five overs in total at an economy rate of 7. Since Rohit shifted to No 4 in the batting order to accommodate Suryakumar Yadav at the top, he hasn’t had the chance to spend much time at the crease. He has never been a batsman who can start hitting from the word go. Instead he has always been someone who settles down, sets himself up and then launches an assault on the bowlers towards the end of the innings. However, batting at No 4 doesn't allow him the freedom of setting himself up for the assaults he is known for. Kishan’s good form with the bat has also been one of the reasons why Rohit has had to walk out to bat late during most matches. And even if he has walked out to bat early at that position due to the fall of early wickets, the pressure has always tended to get the better of him like it did in their previous match against Sunrisers Hyderabad. So it will be better to swap Rohit and Kishan’s batting positions to use both batsmen’s potential to the fullest. Rohit can bat at No 3 and take command of things earlier on in the innings and Kishan can use his hard-hitting capabilities to good effect at No 4 as well. 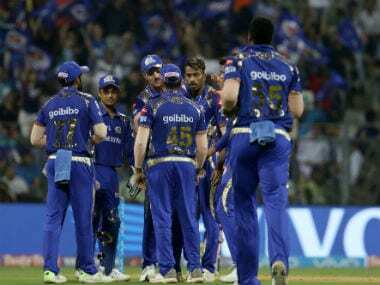 Mumbai Indians bowlers have loosened their grip on the opposition during the death overs after making early inroads into the opposition’s batting line up. Three out of their six matches so far have been last over losses. And the reason for most of those losses can be attributed to their tendency of taking things lightly at the death. The Mumbai bowlers have been at the receiving end of late cameos — by Dwayne Bravo against Chennai Super Kings, Deepak Hooda against Sunrisers Hyderabad and Krishnappa Gowtham against Rajasthan Royals — in all those three games that had gone down to the wire. They should concentrate more on finishing the job rather than taking things easily and underestimating the opposition players. Krunal has always proved his mettle with both bat and ball since he made his debut for Mumbai Indians a couple of years back. However, he has almost always been underused with the ball. He has completed his quota of overs only twice in six matches so far. The fact that he has picked up six wickets so far, that too at an economy rate of just 7.06, speaks volumes about his ability to choke the run flow and take wickets at the same time. He didn’t bowl at all in their first match against the Super Kings and bowled just a couple of overs during both of their matches against the Sunrisers. His best bowling performance of the season so far has been 3/28 against Royal Challengers Bangalore, the only match that Mumbai have won so far and Krunal has played a pivotal role with the ball in it, completing his quota of four overs as well. It’s high time that Rohit trusts him equally with the ball as he trusts him with the bat. The 20-year old leg-spinner from Bhatinda is the leading wicket-taker in the IPL this year with 10 wickets in six matches. He has done all that his captain has asked him to do till now. He seems to be tough by nature and has quite a mature head on his shoulders. The way he bowls, reads the situation of the game and bamboozles the batsmen with his wrist spin is unmatched for any other bowler of his age. Rohit can try him out as an attacking option during the first six overs of powerplay considering the skill set he has. Now that he has been identified as a threat, most teams will try to play him defensively if Rohit keeps on employing him during the middle overs. However, using him during the powerplay will increase his wicket-taking potential as batsmen will have no other choice than attacking him, as they can’t waste his couple of overs with minimum return of runs during that phase of the game. This ploy has a chance of being highly successful and Rohit should not shy away from trying it out.